Tonight and the next few days, look up to the sky! You will see the biggest supermoon since 1948! 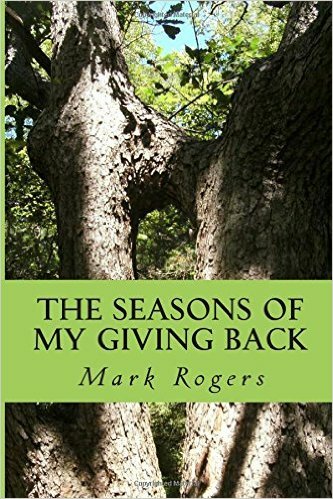 Here is a story about one from long ago and far away from Fiction House Publishing’s The Seasons of My Giving Back by Mark Rogers. The blissful harvest of all our autumn experiences yet-to-come: Quietly it approaches. I hope your fall is bountiful as was my first Lindian road kill crew summer of giving back. The yield from that time, a blaring brass band of the warmest of memories, preserves in my heart. Almost every night of the remainder of that summer after I return home to Cincinnati, the starry sky and twinkling fireflies light the Singh family pathway that leads from the Fiction House Medical Clinic and into the nearby Woods. Mother, Fa, and I take strolls – just as millions of other families do – after supper and before dessert. For many the repast is watermelon, ice cream, or pie. For us, it is Scuppernong grapes. They grow wild near the pond. This is a time of evening for us to converse about our day while we feast on the tantalizing fruit of the vine. Our senses bombard us at once. The sweet pulp of the Scuppernongs plays gently across our taste buds. The tart of the grapes’ thick skin, as its scent wafts into our nostrils, mixing with the damp of the Woods, seems to calm us. Who can hear the squish of the grape you bite into, against the cacophony of nature? The Frog Brothers, Frer and Brer, from atop their bachelor lily pad, romance the lovely Toad Sisters on the shore with their ribbit, ribbit chorus. The Ten Otters of the pond gently slap the water as they stare skyward. Turt is trumpeting a Satchmo rift. Crickets come out from hiding beneath leaves and join Turt’s serenade. Though a breeze is slight, there are small waves on the pond. I cannot contain myself. I jump about excitedly. We look at the water world. The grasshoppers are actually ‘Hanging Ten’, (or however many a hopper has to hang). Just then, all becomes eerily quiet as a broad shadow passes above us. I squeeze Fa’s hand, probably remembering a similar occurrence from some little-boy nightmare. Mother pulls me close. I feel her tremble and I grasp her. Is some vulture-like apparition circling above us? Suddenly we hear a shout. Wheh! Relief. It is Captain Polly flying overhead. All the creatures of the Woods peer skyward. We follow their glance, leaving our own little world, and our own worldly concerns. Ahh! Luny Mum’s way of giving back. We enter her celestial wonder. There she floats, bigger than any of us ever remember seeing her. Her beams overwhelm the Woods, and turn the pond sheet white, like milk. We look at her through the clusters of grapes we hold, and it is as if she is gowned in the most beautiful shades of purple and red. Neither Mother, Fa, nor I can speak. We can only enjoy the spectacle of light prisms our orb provides us. I can almost hear Luny Mum speak to me as when I was an orphan foundling and had only she, Turt and Poppy Sol for my friends. Of course, science disputes the magic of the moment I am feeling. We are seeing a Supermoon, the first of three this year. Technically, my Luny Mum is a “perigee moon’. Mum is massive, and extra bright, because she is about 50,000 kilometers closer than her regular full moon self, an “apogee”. All science aside, to me Luny Mum and Poppy Sol are living celestial entities, just two of the few friends any orphan foundling creates in his or her imagination so we are not alone in a cold world. My perigee Mum would visits many times that year. She watches with Mother and Fa, as I discover the joys of spitting Scuppernong seeds. Mother pours the mix into glasses, which we raise. “Here’s to Luny Mum,” we toast. “May everyone appreciate her brightness tonight!” Fa adds. I remember seeing on TV, that people all over the world can see our Super Mum – from outside the Taj Mahal, atop Eiffel Tower, alongside the Pyramids at Giza, beside the Great Wall of China – all they have to do is look up. 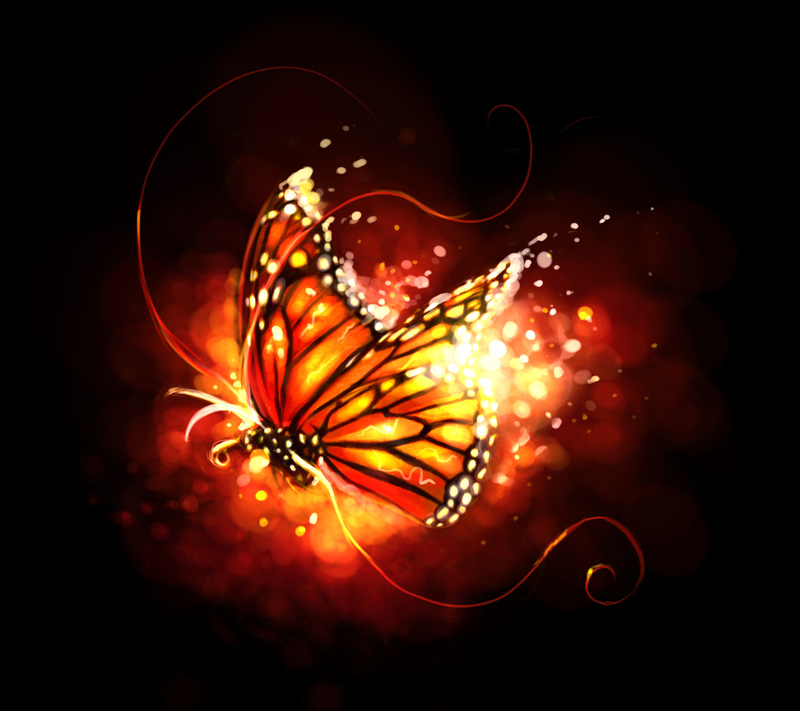 One night while we were ‘Scuppernoning’, my butterfly friend Calico flitted by to visit us. She seemed to hover in the sky for hours. Luny Mum’s brightness shone through the multi-colors of her wings. The Woods and pond became an effervescent rainbow glow. The eyes of all the Woodland creatures turned from red to orange to blue to green and back, over and again. Anyone lucky enough to be moseying the Woods at that time would have been treated to a light display more dazzling than any Fourth of July fireworks show. Thank you Luny Mum, for a summer the Singhs and billions of others will never forget. This entry was posted in archeo-apologist, Children, Children's stories, humor, satire, Short stories, Uncategorized, whimsy, writing and tagged Fiction House Publishing, Lindian Woods, Luny Mum, new short stories, Raji Singh, short stories, Supermoon, Tales, Tales of the Fiction House, whimsy. Bookmark the permalink.